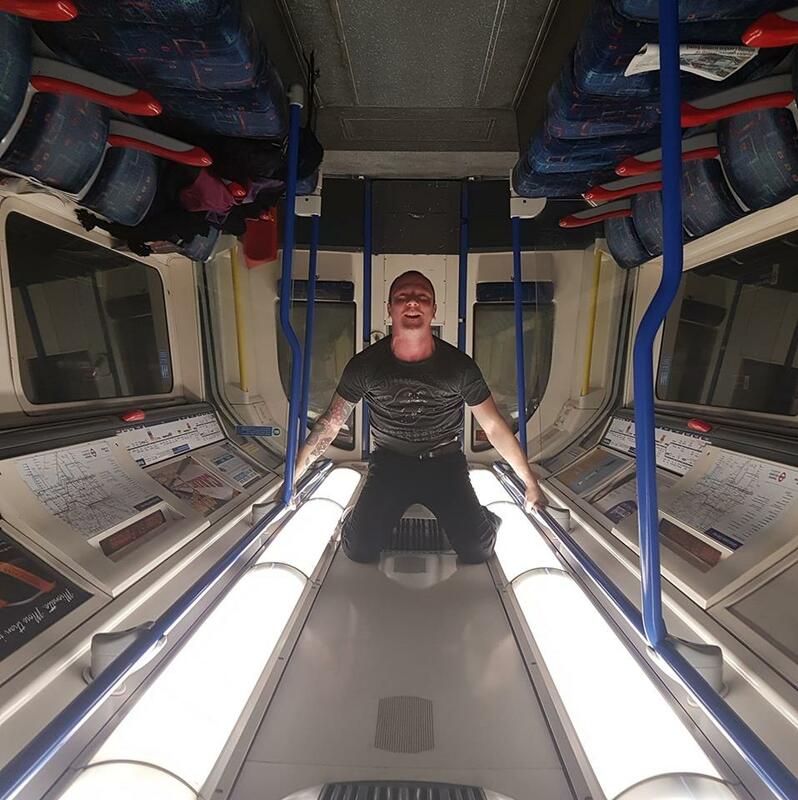 It really has been a very long while since I posted and added any new content. I've not dissapeared, I've just been busy with life. 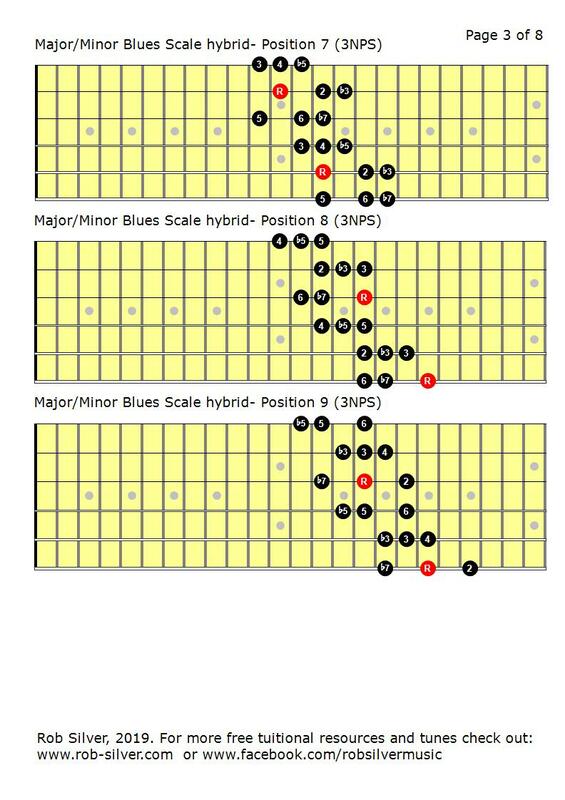 I had a request through my Facebook the other day for some diagrams of combined Major and Minor Blues Scales. While I'm not about to become a free custom diagram service, this did tweak my curiosity. 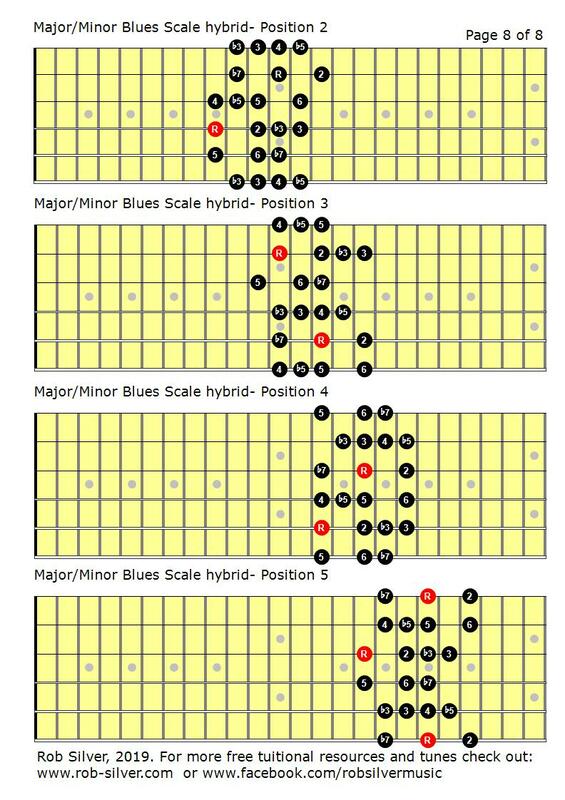 I've been goofing around with adding extra notes to the Pentatonic and Blues Scales in my own playing and in particular playing with ideas like Minor Pentatonic Add 3 and Minor Blues Scale Add 3 (I'll be blogging both these in the coming weeks, as well as a lesson on some cheats on how to start adding extra notes to the Pentatonic Scale) so this idea did tie in nicely with some of that work. Which is a lot of notes, 9 in fact. 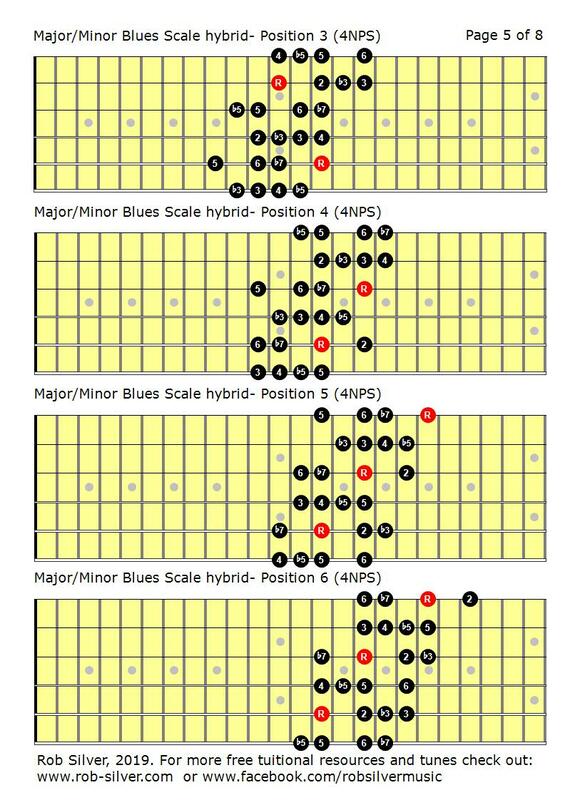 I love the sound of the Major Blues Scale and some of the Add 3 variation I mention above sound amazing, so I get the idea that blurring those two scales might sound awesome but for me, it just doesn't sound how I expected it to. 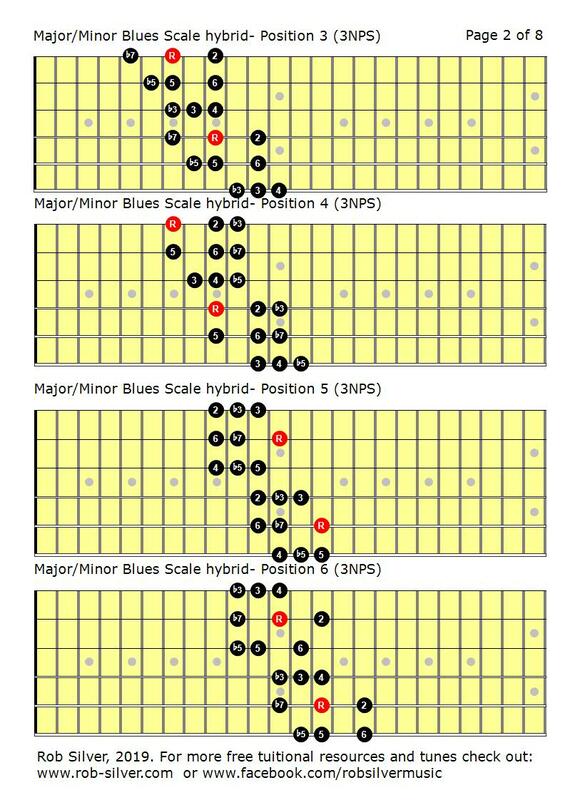 I've also mapped them out as 3 NPS, 4 NPS and as standard Minor Blues shapes with extra notes added so they might feel more familiar, but they still feel really awkward under the fingers to me. I've included all version below. However, Minor Pentatonic Add 3 and Minor Blues Add 3 will be coming soon. If you find this useful then do say hello on Facebook and say so, but if not then there's a ton more stuff to check out HERE. Masses of new Content for Eight String guitar! 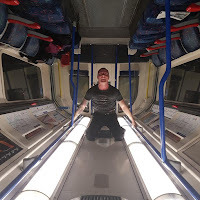 Before you scroll down for the free stuff, please click one of the links below and check out all my content for Eight String on Amazon! 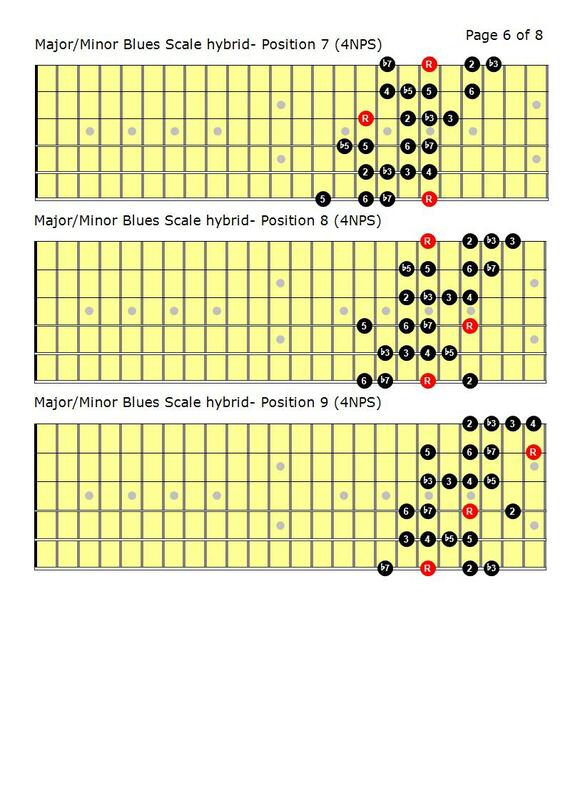 I now have five volumes of Basic Scale Guides for eight String Guitar available in print of Kindle formats. There's a lot more content available now on amazon including Harmonic and Melodic Minor and their modes, Diminished, wholetone and Augmented and Blues and Pentatonic scales, all arranged to take full advantage of the range of the eight string guitar. CLICK THE LINK BELOW AND HELP SUPPORT THE BLOG! VOLUME 1- MODES for EIGHT STRING GUITAR! All modes mapped out in all positions. As 3 and 4 NPS shapes and as various extended range patterns. 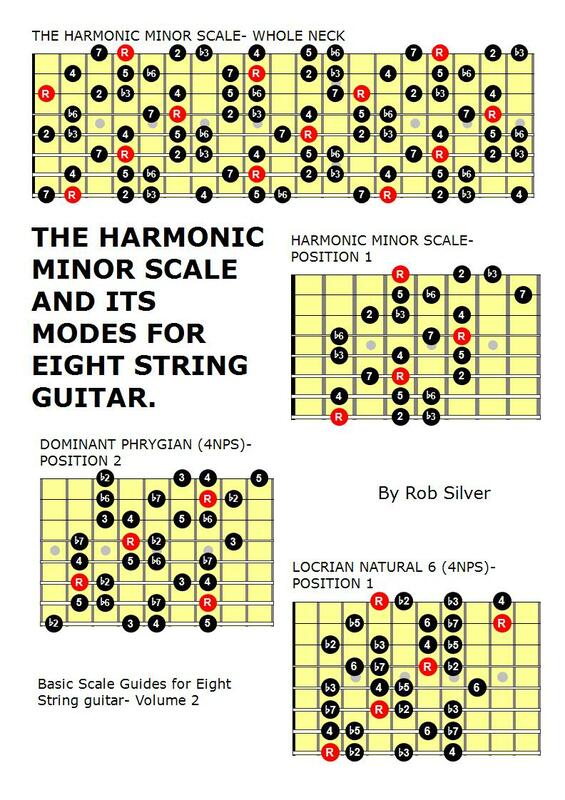 VOLUME 2- HARMONIC MINOR AND ITS MODES for EIGHT STRING GUITAR! VOLUME 3- MELODIC MINOR AND ITS MODES for EIGHT STRING GUITAR! All modes mapped out in all postitons. As 3 and 4 nps and as various extended range patterns. 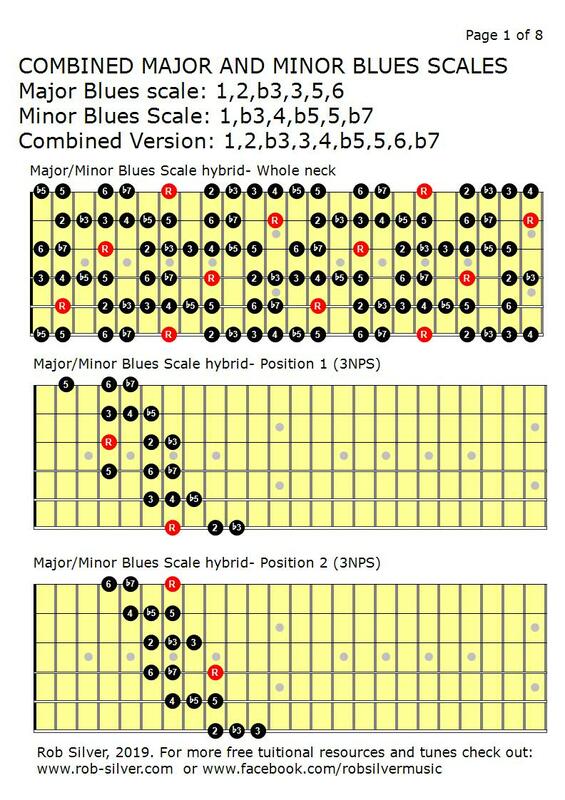 VOLUME 4- SYMMETRICAL AND OTHER SCALES for EIGHT STRING GUITAR! ALL the weird and wonderful sounds you could hope for. Diminished, Wholetone, Augmented and so much more. 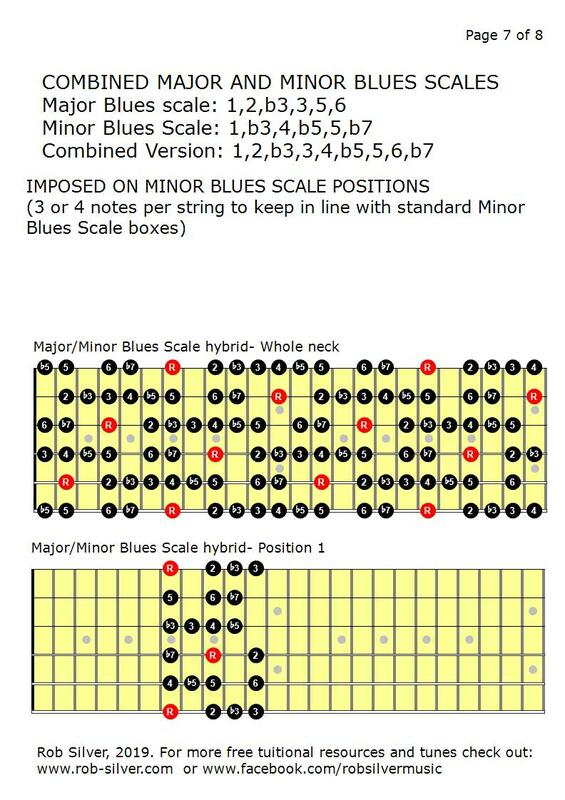 VOLUME 5- PENTATONIC AND BLUES SCALES for EIGHT STRING GUITAR! 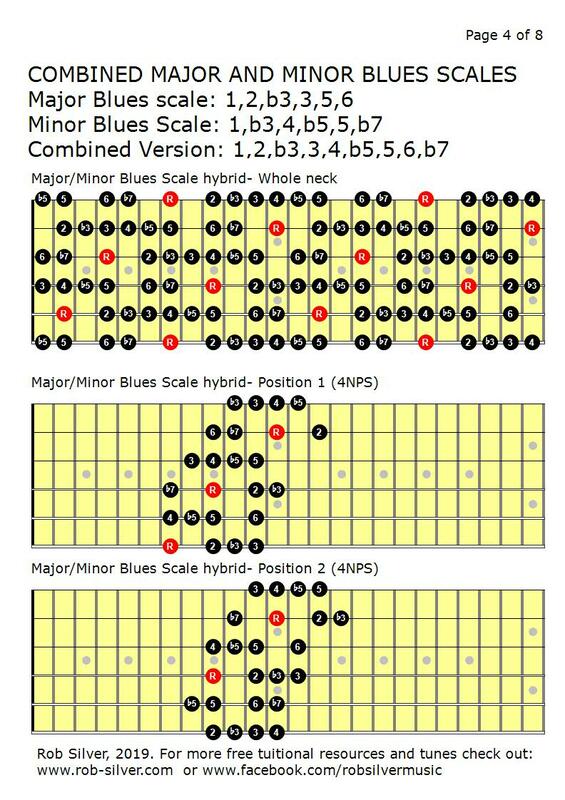 INSANE MULTI-OCTAVE Pentatonic and Blues scales as well as traditional 2 NPS patterns.